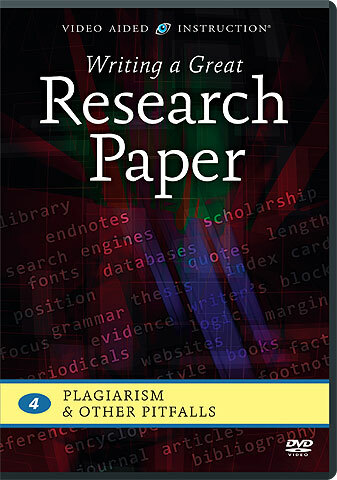 Plagiarism & Other Pitfalls on ! 1 DVD · 1 hr. 7 mins. With today’s busy schedules and tight deadlines, sometimes even the best scholars can be tempted to cut corners! This timely program teaches students to appreciate and demonstrate academic integrity when writing research papers. You’ll learn how to evaluate materials, reference sources appropriately, and avoid inadvertent plagiarism and other common scholarship mistakes.